May buy 1 for yourself and 1 additional as a gift. May redeem 1 per household per visit. Distance restrictions apply; service area includes a 25 mile radius from zip code 84101. Appointments required and subject to availability. Merchant cancellation/re-scheduling policy of 24 hours applies; voucher subject to forfeiture. Additional fees apply redemption beyond the service area, areas that have parking fees or tolls, second floor entrances, extremely soiled areas, and major pet problems; call 303-424-5888 with inquiries. Valid only for up to 250 square feet per room. Excludes stairs, area rugs, wool carpets, microfiber, and exotic material, sanitizer/deodorizer and carpet protectant. All services must be redeemed during a single visit by same household. Expires 6 months after purchase. See the terms that apply to all deals. Mud, dirt, dust mites, pet dander, allergens, chemicals...all of the things that love carpet. Get them out with organic, natural, dry foam cleaning from Be Green Carpet Cleaning. They use a powerful carpet buffer and a non-residue enzyme with nanotechnology to ensure a very thorough, safe, deep cleaning process. 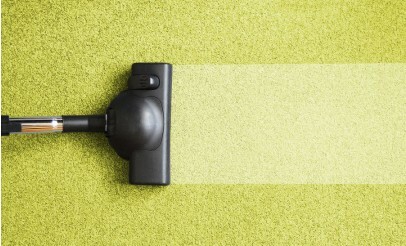 The owner of Be Green Carpet Cleaning has been cleaning carpets since 1982. At Be Green Carpet Cleaning, the mission is to please each one of their customers and provide a safe, healthy, clean environment. They ensure each customer a thorough, satisfaction-guaranteed cleaning by using the safest products available today.